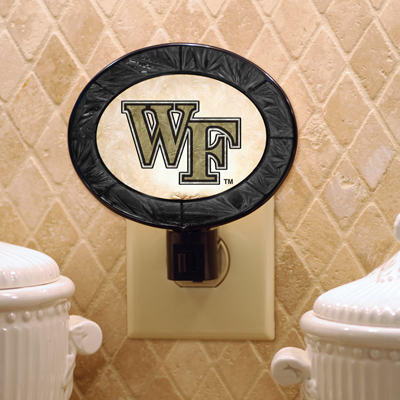 Sleep peacefully while showing your team loyalty with the help of this officially licensed Wake Forest Demon Deacons art-glass night light from The Memory Company®. This art-glass night light is made of finely crafted hand-painted art glass and is accented by the team logo surrounded by the authentic colors of the team to provide a light of softness and elegance. This night light is the perfect addition to any home décor.